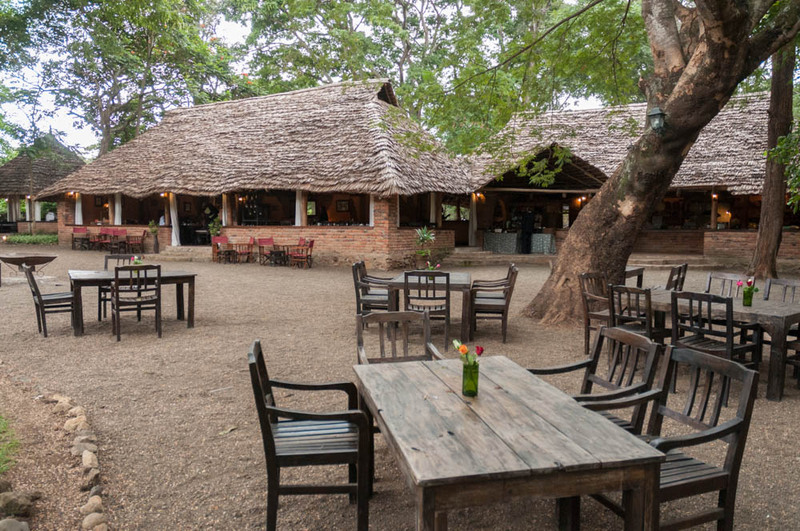 Our final safari dinner, at the Enashiva nyumba, was Tanzania style food. Finally! although the food at all the restaurants and nyumbas was wonderful, it was basically western-style food. I was pleased to finally have a chance to sample some of the local food, including ugali and stew. 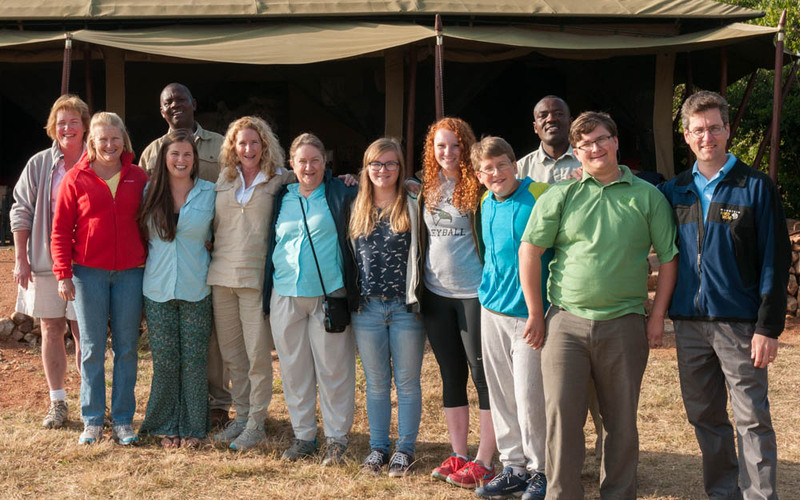 Safari group photo: Peggy, Amy, Erin, Doe, Pam, Mara, Isabel, Andy, John, David; with guides Robert and Freddy in back. 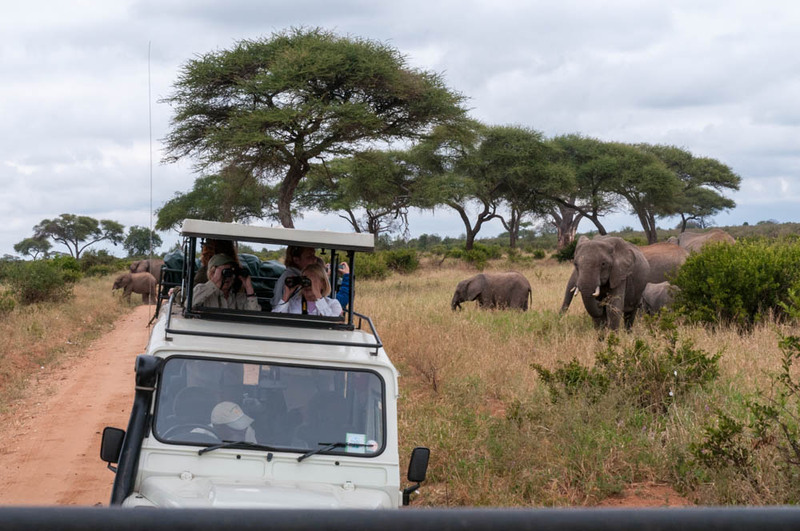 At Serengeti East nyumba, Enashiva Reserve, last morning of the safari. 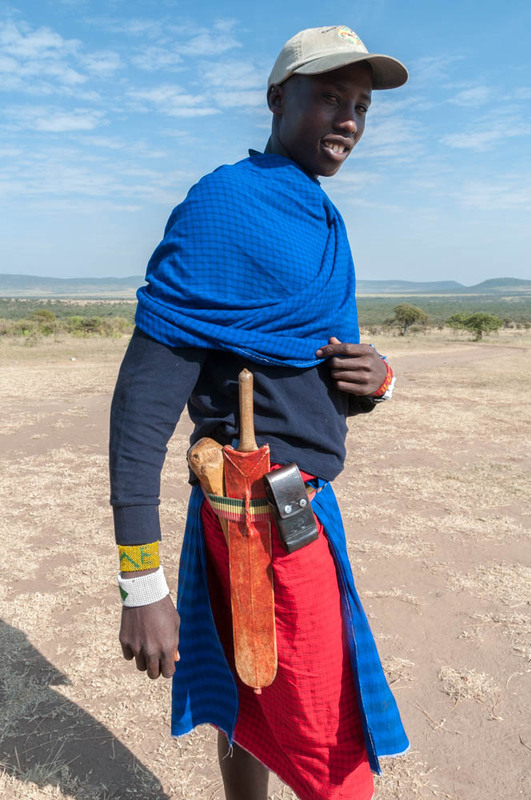 The waistbelt of a modern Maasai warrior/ranger includes a wooden club, a machete, and a cellphone. Enashiva reserve, Tanzania. 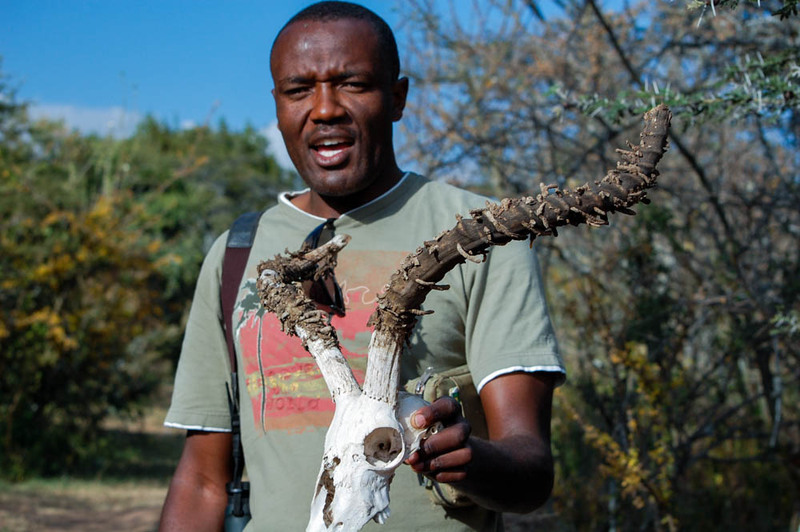 Our guide, Freddy, describes an impala scull we found during our nature walk at Enashiva wildlife reserve, Tanzania. Photo by Amy Jenkins. 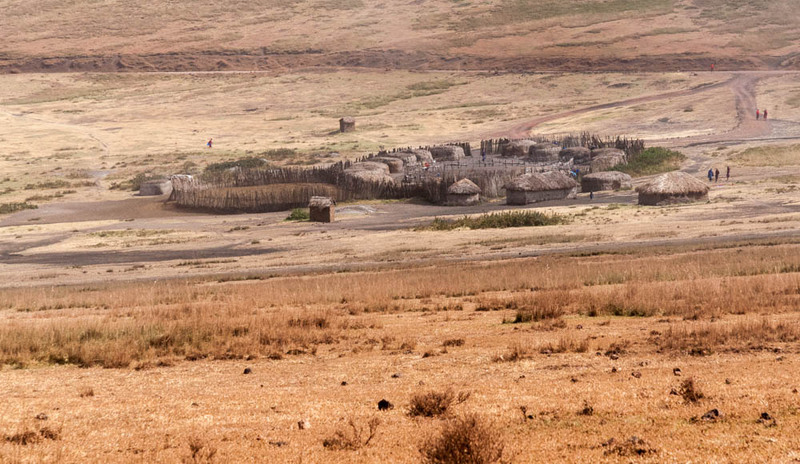 Maasai boma in the Ngorogoro conservation area on the way to Serengeti, Tanzania. 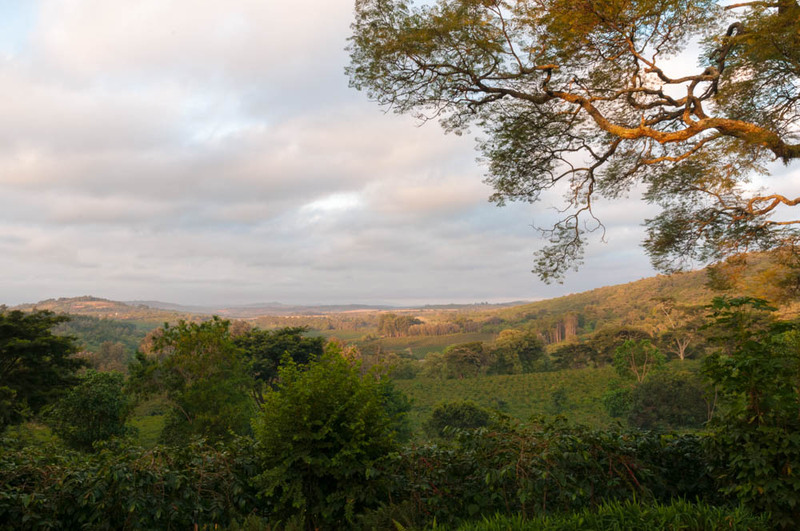 Sunrise at Gibbs Farm hotel, near Ngorogoro. At the entrance to Tarangire National Park we settled in for a picnic lunch while Robert took care of the paperwork. (This would become a regular routine, as there seem to be plenty of fees and paperwork to enter each of the parks.) I have to say, the facilities at the parks we visited were generally excellent, with well-maintained picnic sites and flush restrooms available here and there.